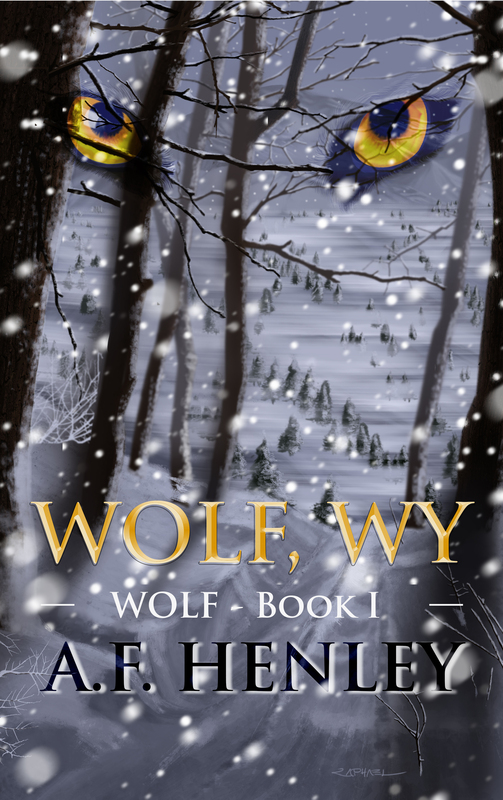 To celebrate the exclusive cover reveal for Wolf, WY by AF Henley which was graciously hosted by Love Bytes Reviews on July 25th, I am opening a new section called Cover Art. It will contain art that was created by me and was used on covers for novels. This section will also showcase samples of other cover art that I did out of curiosity and for fun in order to introduce my work to authors and publishers who might be interested in pursuing my art. Some drawings in the future could be NSFW and adult stuff. It was incredibly fun to do this drawing! Part of the story takes the reader back into the year 1974 during the Glam Rock era! 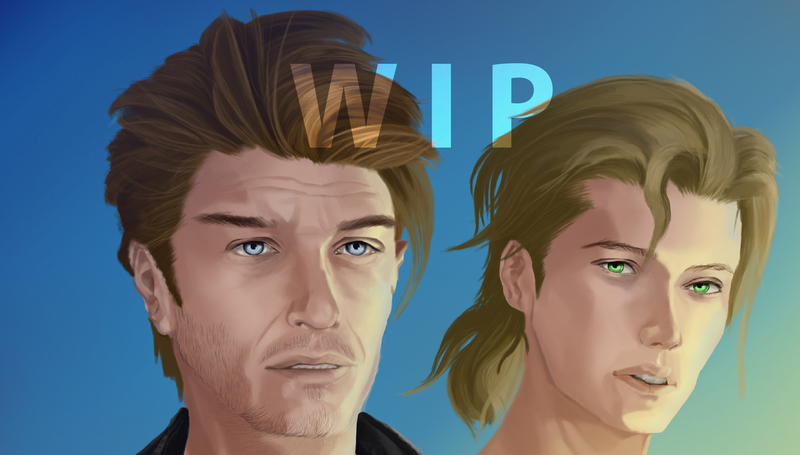 The picture is featuring the characters Boyd (left) and Oliver from AF Henley’s wonderful novel Road Trip. 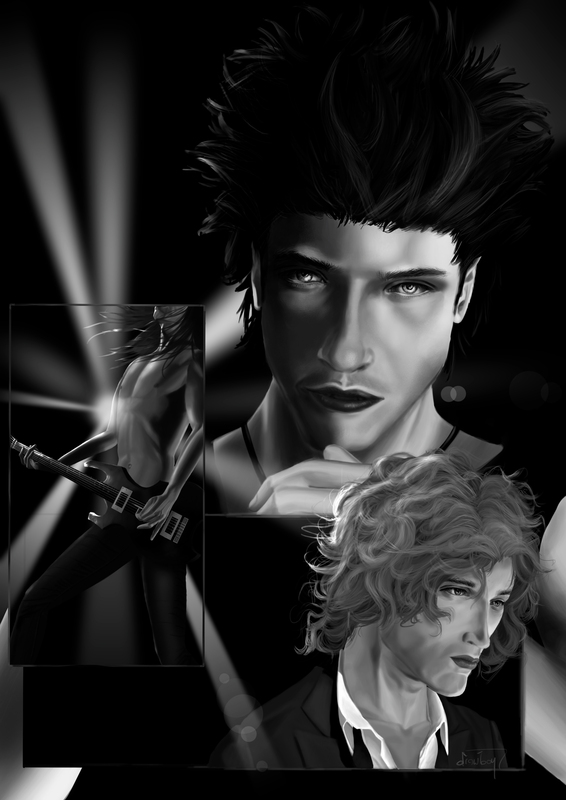 While AF Henley was working on his brilliant and thrilling novel the Gift, he wondered about this image he had on his mind about the two main characters, Doren, the rock star (the guy in the background) and curly-haired August (later his assistant) as well as Doren’s band (which will also play a vital role), start out as separate characters in a fight for their life against dark and dangerous powers and become united. I immediately jumped to the opportunity! It was a chance to hone some of my drawing abilities.